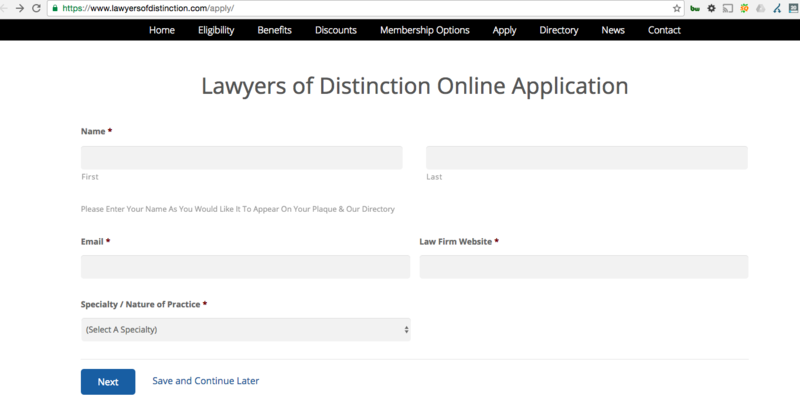 One of my clients was recently contacted by Lawyers of Distinction, an online legal directory claiming to only list the top 10% of lawyers. But what are they using to determine who qualifies as the top 10%? Doesn’t get much more vague than that. Let’s say you ignore these first warning signs because you’re struck by flattery, and you start to poke around the site to see who is listed and what perks come with the exceptional honor of being in the top 10%. 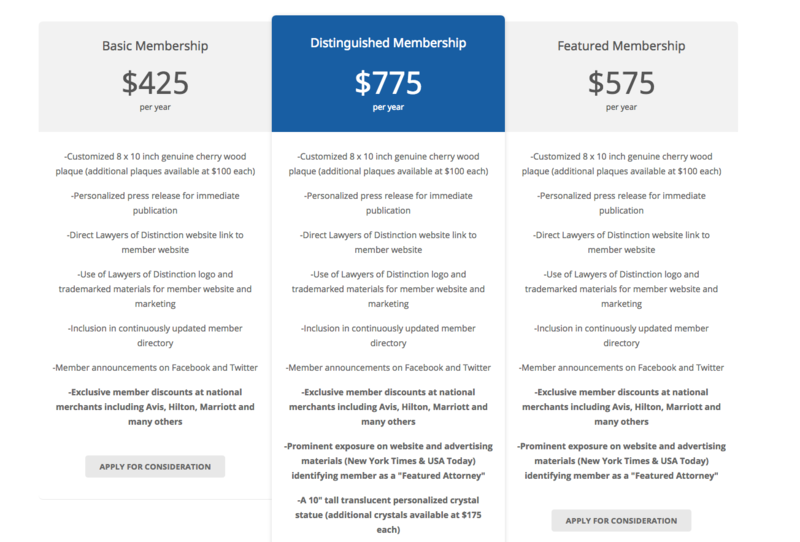 You may stumble upon the membership page and notice that your award will cost you $425 per year, at the least. 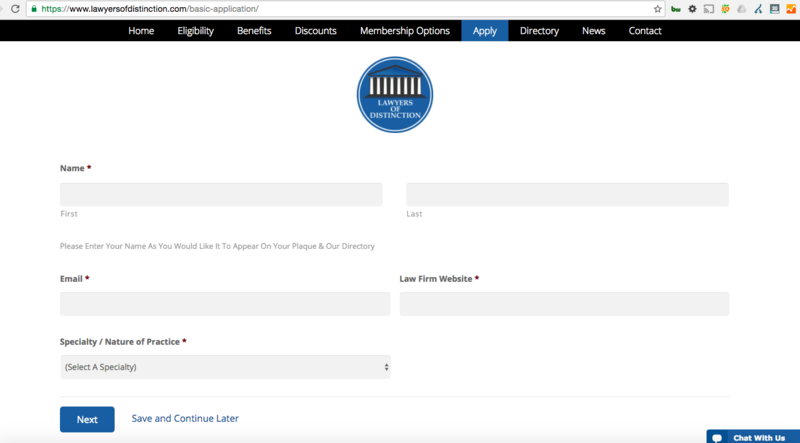 What that $425 membership is really paying for is the link back to your site, and the plaque you can prominently display in your office. You also have the option to buy more plaques at $100 each, because who doesn’t need a plaque in the lobby and the restroom? 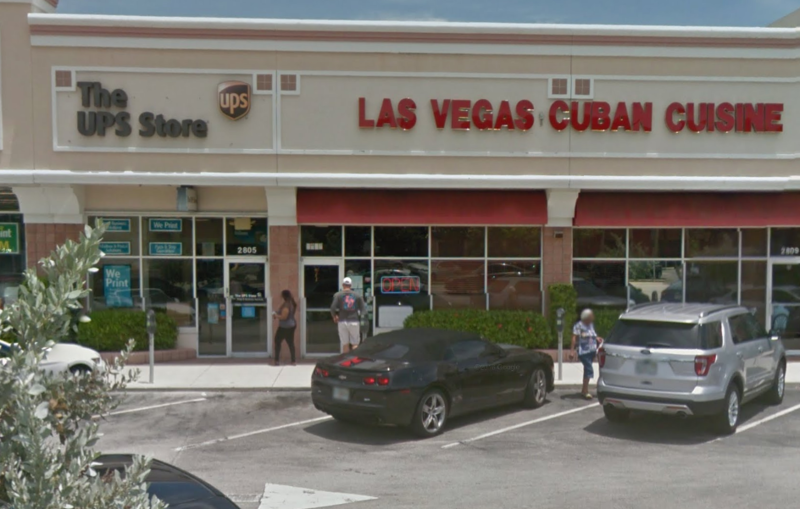 Conrad wrote an eerily similar post two years ago about the American Institute of Personal Injury Lawyers whose corporate office was also located at a UPS store. You’d think a company dealing with the top 10% of lawyers would have a physical location. Especially if they’re boasting their combined power with Avvo. So in the spirit of the New Year, let’s cut out the shady directories and use our resources on more valuable marketing tactics. But if you’re really just interested in the Costco discounts, they can hook you up.